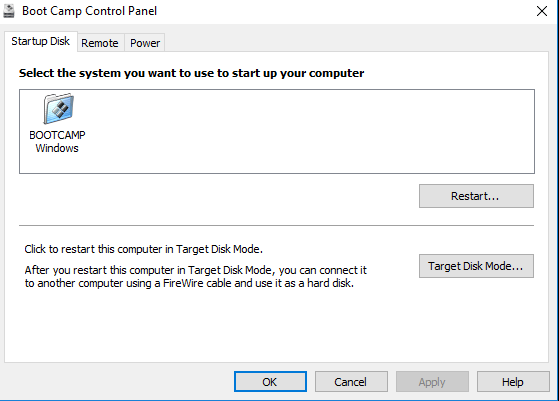 If like me you use the Boot Camp Control panel in Windows to restart your Mac into High Sierra and you are using an SSD drive for High Sierra, you may or may not notice that you can no longer choose your Macintosh startup disk in the Boot Camp Control Panel in Windows. The Windows “Boot Camp” partition will be selectable but that is all. 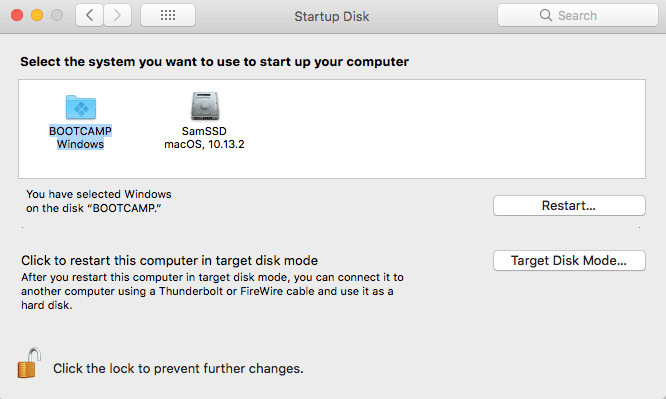 And if you have set the Windows Boot Camp partition as the Startup Disk in System preferences > Startup Disk in High Sierra then you will be stuck in a loop whereby every time you start up your Mac the Mac will boot into Windows. Unfortunately, there is currently no way to fix the Boot camp control panel in Windows and this bug is related to Apple File System (APFS). However, the solution is very simple if not somewhat annoying. As soon as your Mac starts so as soon as the startup chime finishes press and hold the alt (option) key ⌥. And hit Enter or click the arrow under the drive you want to boot from. 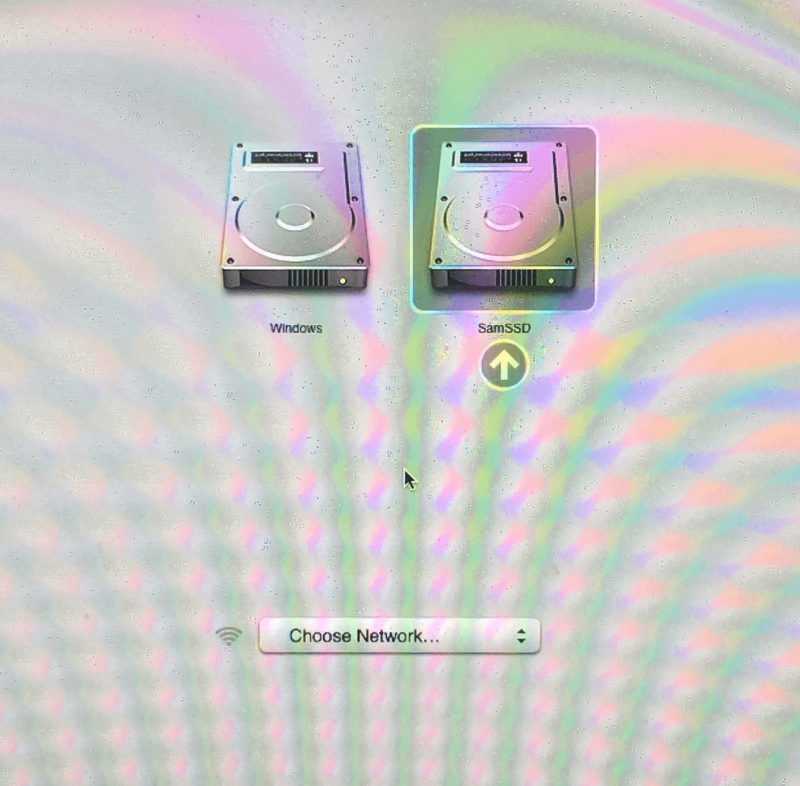 And make sure your Macintosh HD or the boot volume for High Sierra whichever you prefer to call it is selected and to switch between Windows Boot Camp and High Sierra you press and hold the alt (option) key ⌥ on startup, this will keep you out of a confusing boot sequence. This bug is due to the updated Apple File System (APFS) and we will let you know if Apple provides a fix to this with the Windows boot Camp Control panel. 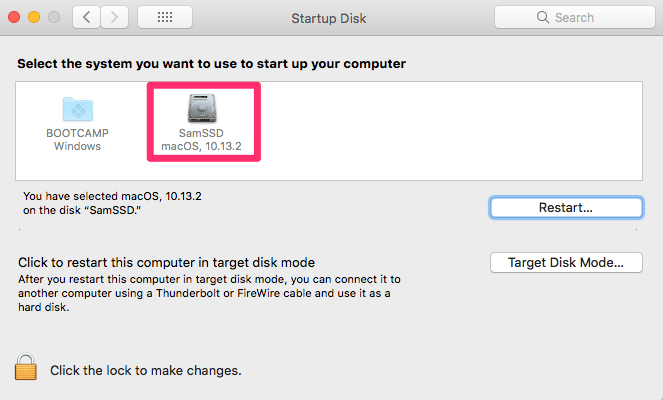 If you install High Sierra on a non SSD hard drive you will not come across this bug.